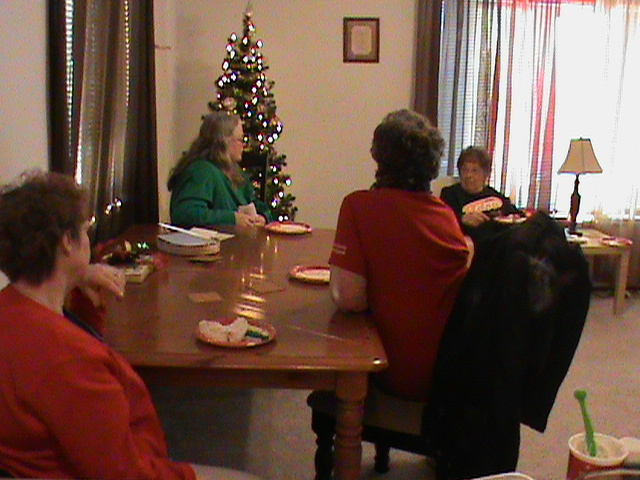 This past week I (aka Pastor Kara) hosted two events at my house. 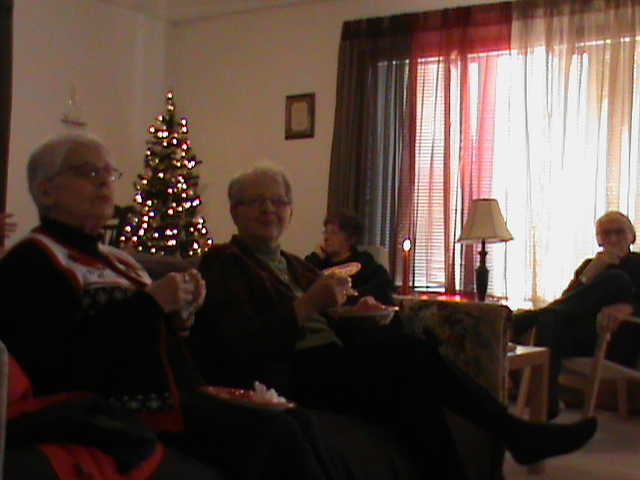 I love being around people, especially when there is fun conversation and food and friendship. So I opened up my home for those who wanted to see where their pastor spends her free time (and of course, some time is working on sermons or Bible studies). I cleaned up the house, even the bedrooms so people could see what I mean when I say that I have more than enough space in my 4-bedroom, 1 1/2 bath home. 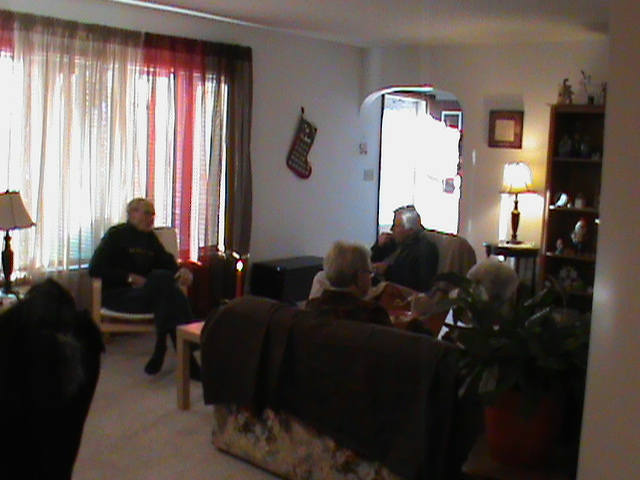 I hope that everyone who came enjoyed the afternoon. 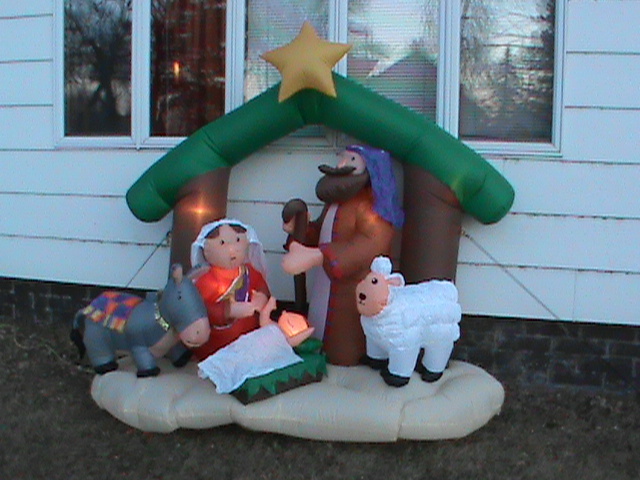 ...cause who doesn't like an inflatable nativity? 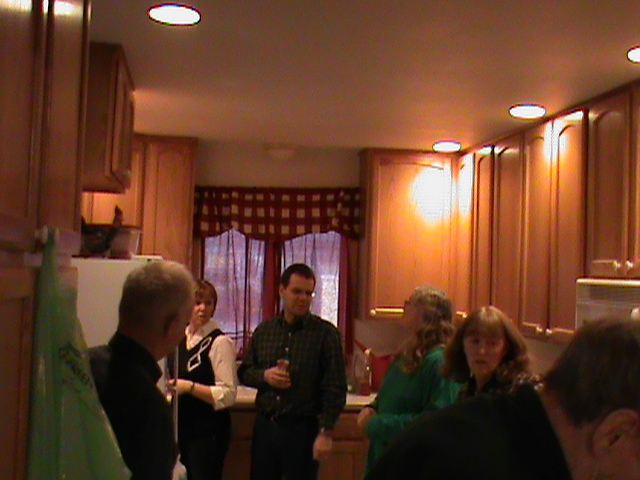 best location for parties...the kitchen! This entry was posted in Pastor's Corner, Pictures/Video by Kara. Bookmark the permalink.